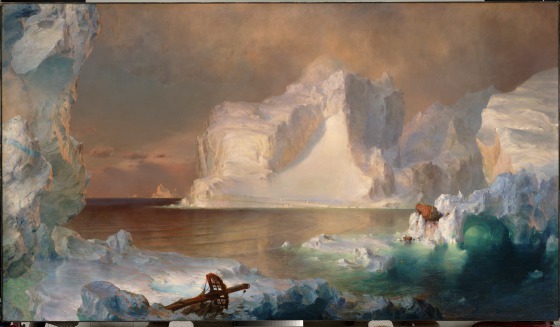 The Icebergs is a superb example of Frederic Edwin Church’s technical skill and clever marketing. 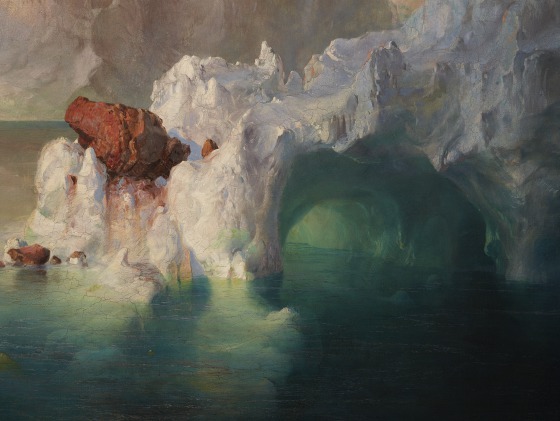 The seductively inviting colors, glowing subterranean light, and glossy, tactile surfaces of the icebergs attract the viewer’s eye. 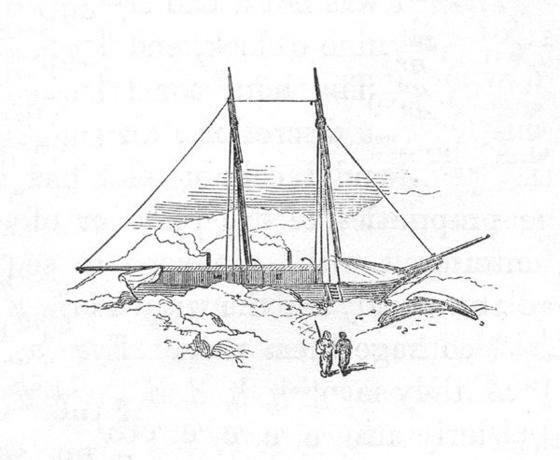 Yet in reality, the scene is an inhospitable place filled with danger, as the broken mast in the foreground indicates. In 1859, Church chartered a month long expedition in the North Atlantic, off the Canadian coasts of Newfoundland and Labrador. 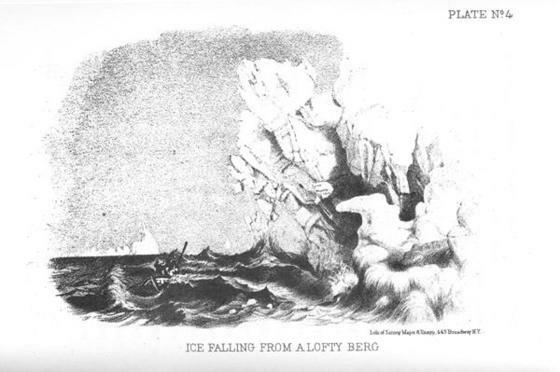 He spent several weeks on a sixty-five ton schooner and used a small rowboat to venture over the deadly waters and closely study the forms and colors of icebergs in the Arctic landscape. 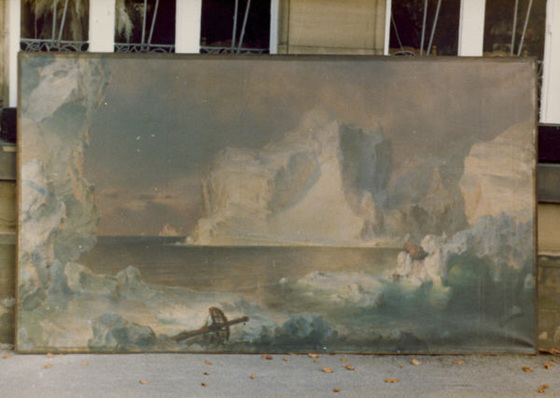 After returning to his New York City studio, Church relied on nearly one hundred pencil and oil sketches to create a large-scale painting of icebergs. 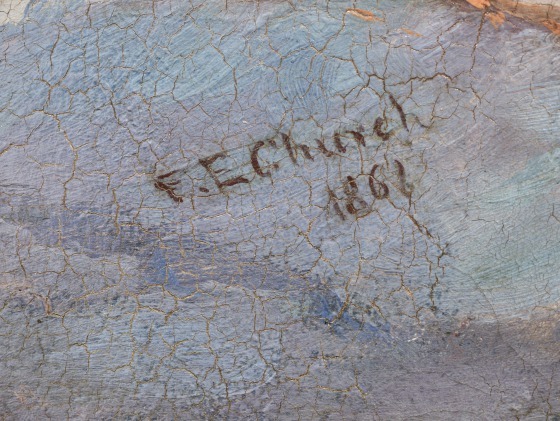 As with his earlier blockbuster landscape, The Heart of the Andes (1859, Metropolitan Museum of Art), he paired his on-site observations with his imagination. His goal was to capture both the essence of his experiences among icebergs and the other-worldly sense of the Arctic environment, drawn from explorers’ written accounts and contemporary reports. 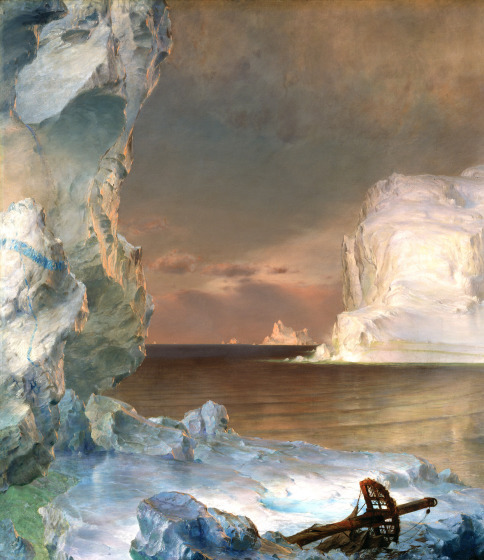 The process took him less than six months, and The Icebergs was first exhibited in 1861. 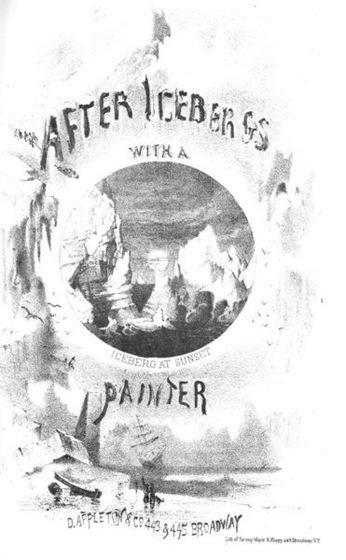 Twelve days after the attack on Fort Sumter ignited the American Civil War, The Icebergs debuted in New York on April 24, 1861. While on view in the U.S., Church’s painting was titled The North, and all exhibition proceeds were donated the Union’s Patriotic Fund (today’s Red Cross). From New York , it traveled to Boston and continued to receive ardent praise from American audiences. Unfortunately, the war made buyers for such a monumental work hard to find. 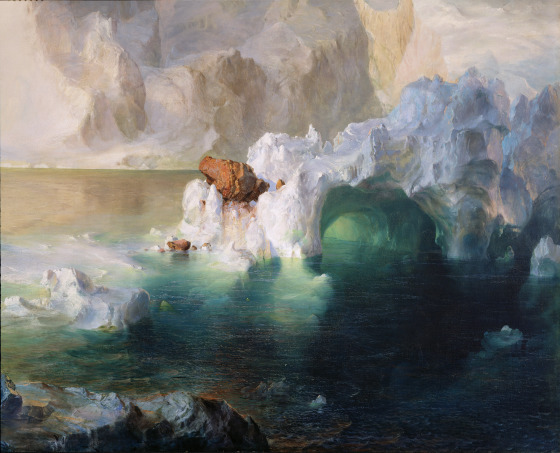 In 1863, Church decided to send the work to London, where he had a strong following and had profitably exhibited The Heart of the Andes as well as Niagara (1857, Corcoran Gallery of Art). 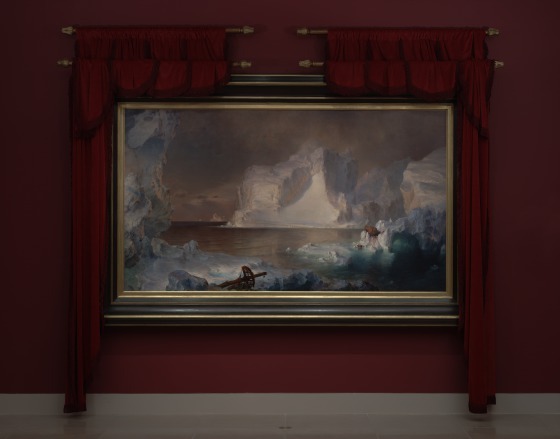 For its display, Church arranged to have The Icebergs draped in crimson and installed by itself in an opulently appointed room. 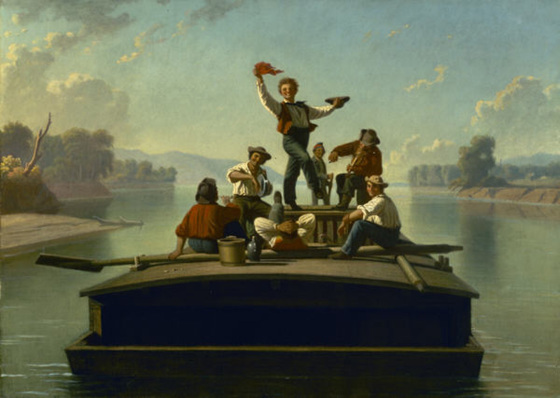 Viewers paid a quarter to see the painting and received a printed broadside (descriptive essay) that gave an introduction to the unfamiliar vista. 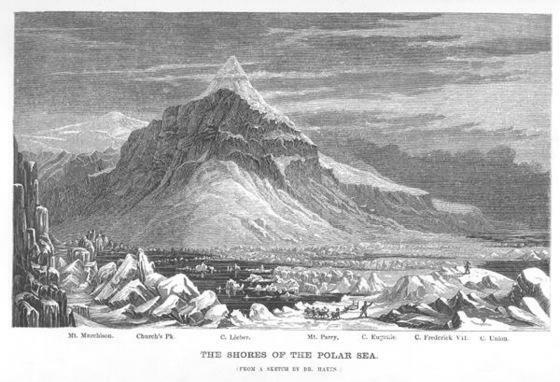 The text emphasized the various glacial features and dazzling optical effects on display. During the preparations for sending the work abroad, Church altered it in two ways: a new title and the addition of a mast in the foreground. 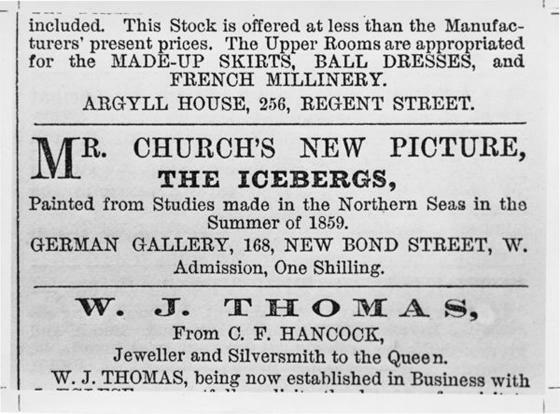 In deference to England’s support of the Confederate side of the Civil War, Church changed the title from The North to The Icebergs. (For many Americans, the Arctic North and the Union North were inextricably intertwined.) His exact reasons for the inclusion of the broken mast are unknown. The mast may refer to Sir John Franklin’s doomed expedition to the Northwest Passage, but it also served to establish scale in the painting. Several preliminary studies of the painting that include the mast as well as a full-scale boat indicate that Church struggled to adequately convey the immensity of the subject. 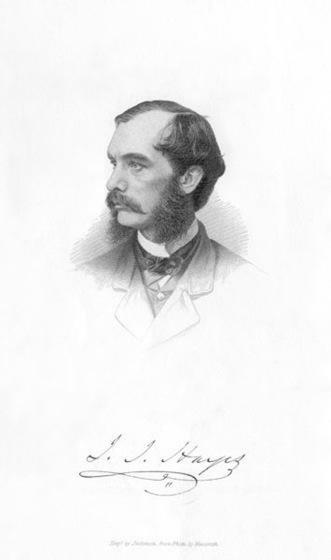 The work was well-received in England and soon purchased by Sir Edward William Watkin (1819-1901), a railroad magnate and member of Parliament. Apart from six years (1915-1921) when it hung in a nearby church, The Icebergs remained at Rose Hill, Watkin's estate in Northenden, outside of Manchester. The property changed hands several times until Rose Hill and its unrecognized artistic treasure were acquired by the City of Manchester to house a social services facility for boys. 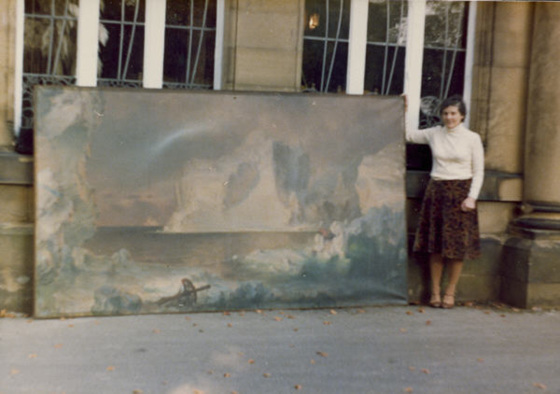 In 1978, Mair Baulch, the matron of the juvenile detention facility, brought the painting into public view in hopes of raising money to purchase a run-down piece of land for the boys’ recreation. 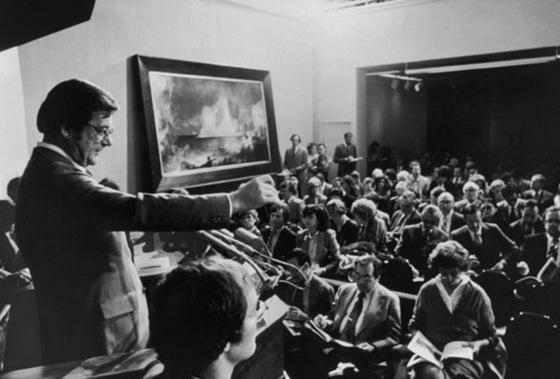 Her hopes were far exceeded when, in 1979, The Icebergs sold at Sotheby’s for a price that broke all existing auction records for American paintings. It was immediately donated to the Dallas Museum of Art by an anonymous benefactor, revealed in 2010 to be Lamar and Norma Hunt of Dallas. William Keyse Rudolph, DMA Label copy (1979.28), May 2006. 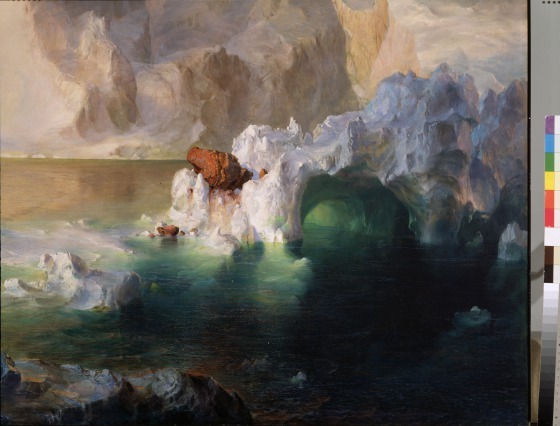 "Frederic Edwin Church, The Icebergs," DMA Connect, Dallas Museum of Art, 2012. Ken Kelsey, Gail Davitt, Mary Ann Allday, Troy Smythe, and Barbara Barrett, Art of the Americas at the Dallas Museum of Art, DMA Teaching Packet, 1994. 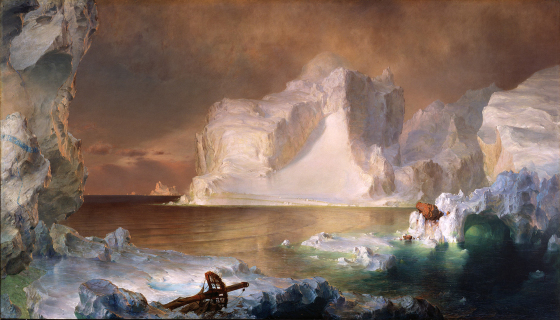 Eleanor Jones Harvey, The Voyage of the 'Icebergs': Frederic Edwin Church's Arctic Masterpiece (Dallas, TX: Dallas Museum of Art, 2002). 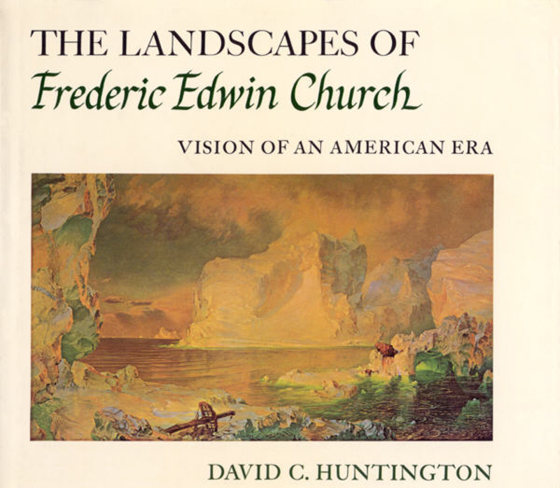 Learn about Frederic Edwin Church (1826â0131900). 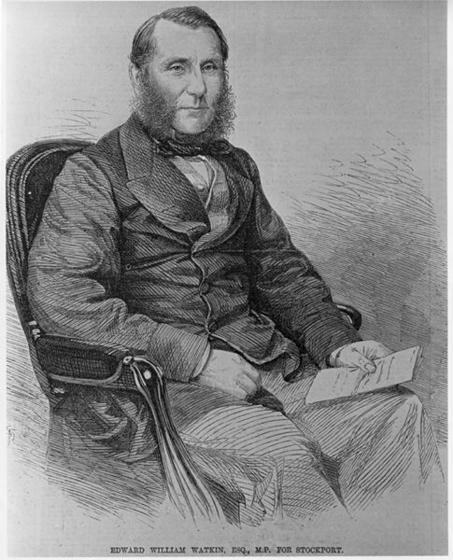 Church's search for frozen subjects took place aboard two ships. The first, from Halifax, Nova Scotia to Saint John's, Newfoundland, was called Merlin. The second, a chartered schooner from Saint John's into the northern waters of the Strait of Belle Isle and Battle Harbour, was the Integrity. In his catalogue for The Icebergs' debut at the Dallas Museum of Art, Gerald L. Carr proposes that contemporary operas may be "a less obvious but compelling parallel" to Church's landscape paintings of the late 1850s and early 1860s. 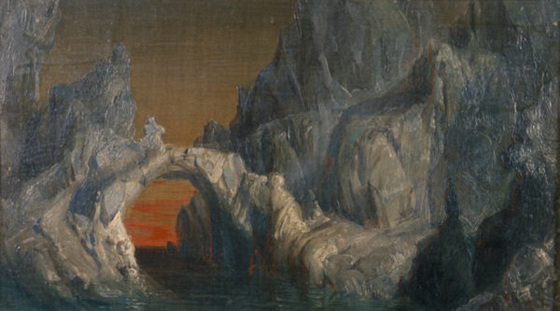 In particular, Carr notes that the production of Richard Wagner's Tannhäuser (1845)_ _contains a journey to disparate environments, religious symbolism, and romantic episodes with the goddess Venus in her enchanted grotto. 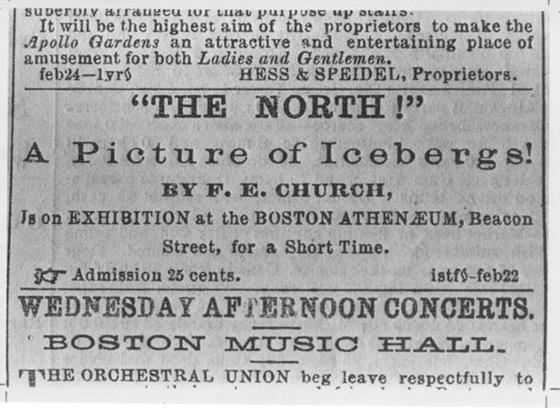 In addition to compelling thematic and dramatic similarities, the opera premiered to American audiences in New York City, April 4, 1859—just before Church departed for his Arctic adventure. 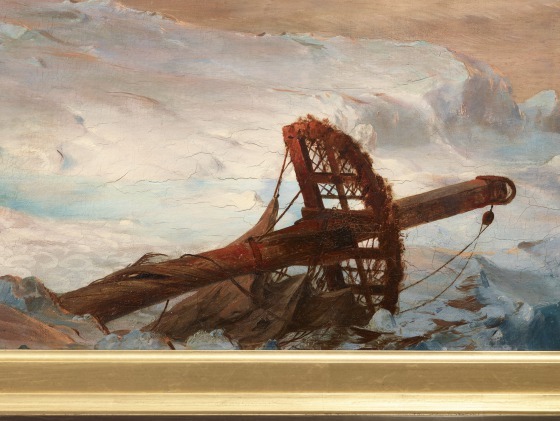 Evidence that when viewed by New Yorkers and Bostonians, The North did not include a broken mast, and that Church made this addition before presenting the painting as The Icebergs in London, comes from journalist's observations. 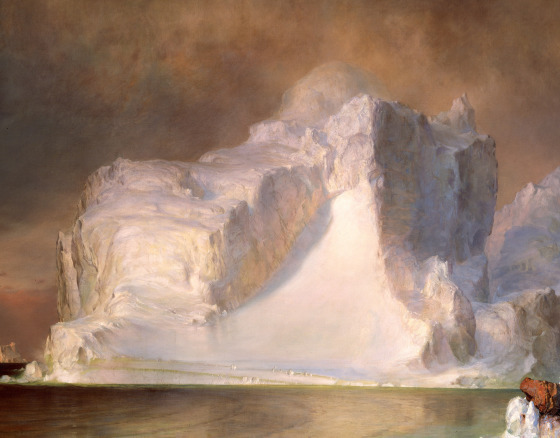 A critic in New York commented The Icebergs had, "... no trace whatever of human association, not a living creature of any description, no ship, no boat, not even the semblance of a wreck, no connecting link of any sort between themselves and the canvas. One brown boulder of rock, lodged on the ice, alone hints that the great floating glacier was once in contact with earth. Transporting The Icebergs to Dallas after its purchase in 1979 proved to be a challenge—not only because of its size and heft, but also its headline-earning value. The shipper wrote “household items” on the crate to deflect attention from its contents. The ploy was too successful; the crate was bumped from its intended flight and sat in its container on the airport tarmac for a day before finally reaching Dallas safely. Read curator Sue Canterbury's, 2012 blog post on DMA's Uncrated. Check out curator Sue Canterbury's 2014 blog post on DMA's Uncrated, summarizing how recent maritime discoveries connect to Church's The Icebergs. Look through some of the sketches from Church's arctic voyage (June-July 1858), in the collection of the Cooper-Hewitt, National Design Museum. See the variety of locations and landmarks represented in Church's paintings. Find out the latest locations of icebergs through this Newfoundland and Labrador Tourism map. Watch this DMA YouTube video of the painting's installation in 2013. Enjoy this 2002 DMA exhibition catalogue written by Eleanor Jones Harvey and available online through Issu. 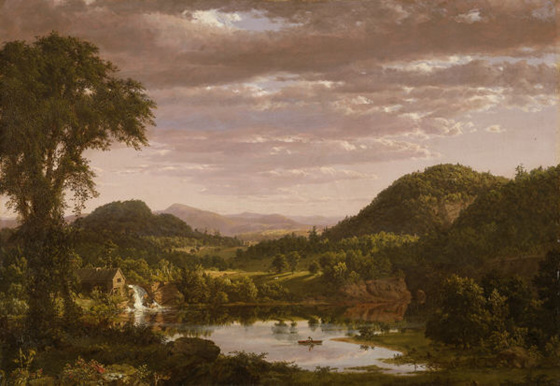 Look at another monumental landscape by this artist in the collection of the Metropolitan Museum of Art. 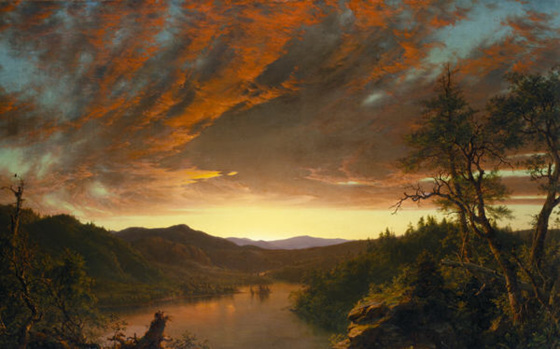 Look at another monumental landscape by this artists in the collection of the National Gallery of Art, Washington, DC.